To make the most of your golf swing, you have to pay close attention to mechanics, and hone the aspects of your swing that need improvement to create a balanced, solid stroke from the takeaway to the follow-through. 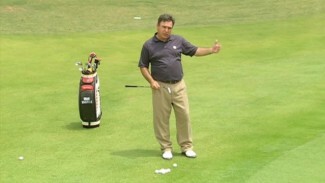 In many of our videos, we’ve demonstrated what we consider to be the key components of a good golf swing. We know that by focusing on these fundamentals and nailing the proper form you can improve your swing drastically and become a more consistent player. One of the basics we like to emphasize in the technique of amateurs and pros alike is weight distribution upon impact. In other words, where in your stance do you place the majority of your weight at the final stage of the swing? In fact, imagine your normal swing at the moment you make contact with the ball; is your weight where it’s supposed to be? 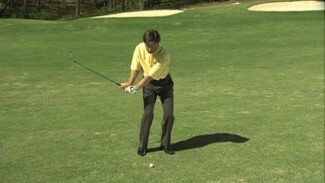 You can find out by doing some simple golf impact drills. 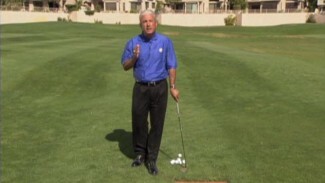 Today, PGA Professional Rafael Floriani teaches you where to put your weight at the point of contact in your golf swing, and walks you through one of many golf impact drills you can repeat over and over to improve distance and accuracy from your own backyard. You’ll need your normal swing and about ten yards of space to soak up this golf impact drill’s benefits. Rafael begins by explaining how golfers can lose a tremendous amount of distance on their swing by underutilizing the power and balance available from their lower body. By not taking full advantage of the energy built up in your hips and legs, you let precious yards fall off your shots. If you’re unsure where exactly your weight should be distributed when you make contact with the ball, this ought to be the perfect tip for your golf swing. You’ll be amazed how much this and other simple golf impact drills can improve your distance off the tee and from the fairway.